We provide the facility to develop power electronic stacks fitted to your application. Everything from the electrical design to the build-up of prototypes is done in-house. 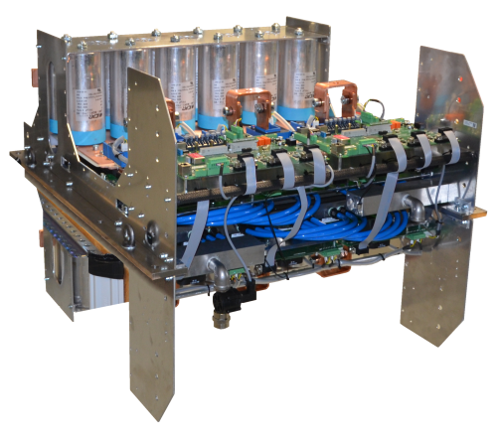 Our speciality is the development of custom power stacks which require additional features compared to commercially available products like high switching frequencies, high currents or adaption to special applications which are not covered by other available products. As basis we can draw on several power stacks we have developed in the past. Some are now also some kind of standard like the XPB TiBa. We have experience with several semiconductor technologies for inverters like thyristors, IGBTs, MOSFETs and diodes for passive rectifiers. 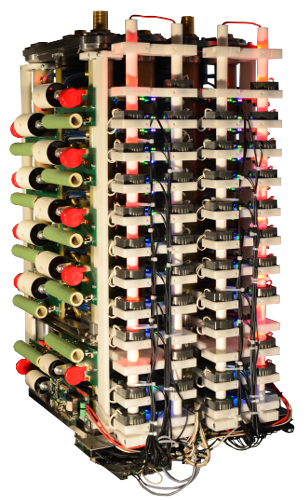 Topologies in which we are well versed include multilevel inverter stacks for high voltages or paralleled IGBT modules for high current applications. Also multilevel thyristor switches based on several series connected devices are in our scope. The end-use applications are in nearly any field. These include for example inverters for motor test benches or induction heating as well as converters or grid applications. Our mechanical design capabilities allow us to build individual solutions that fit into limited building space. We also provide fitted cooling techniques. These include water or liquid cooled systems as well as air cooled ones. For example our Powerblock XPB TiBa can be equipped with different cooling solutions depending on your needs and environmental requirements. 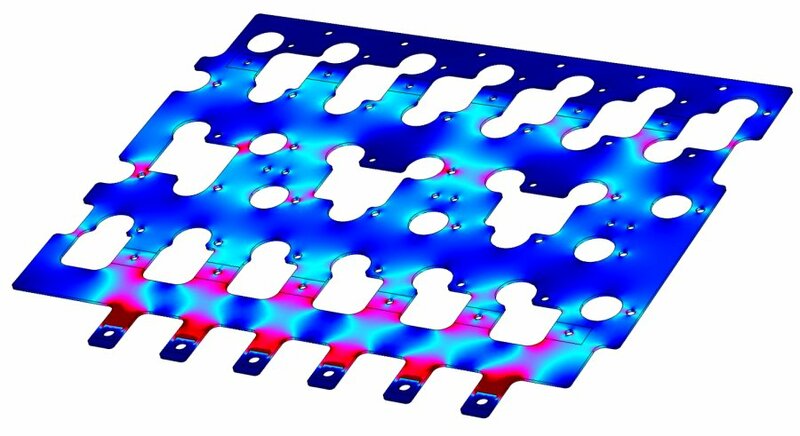 Due to our design and simulation capabilities we are able to develop a product that is optimized to your specific needs. The used componenets will be fitted to your needs. This leads to an optimal and cost efficient design with long lifetime.